I am talking about phenomenon called Daak Naam. Literally it means nickname, which according to the dictionary is either a descriptive name added to or replacing the actual name of a person or a familiar or shortened form of a proper name. This description doesn't hold true for a Bong nickname. 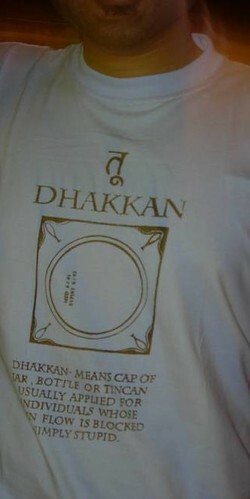 In reality, the daak naams are hardly ever descriptive nor is it a familiar or shortened form of the name. Outside of Kolkata, it is exceedingly difficult to explain why your mother or your pesky cousing is calling you Bumba or Piklu instead of Anirban, Tonmoy or Jishnu. In the 1950s, the Tram rates in Kolkata were increased by 1 paisa. This 1 paisa coin used to have a hole in the middle. The increase in rates led to protests. During this time, within my family, a couple of my uncles were born a few days apart. They were called Apol and Phupol, which stood for Aik Poishaar Lorai (One Paisa's Fight) and Phuto Poishaar Lorai (Fight for Paisa with the hole). Clearly contextual, but would it ever be descriptive? Also, in reality, for Bonglings, nothing can be a bigger source of embarassment (or occasionally, pride) than the Daak naam their parents have bestowed. Common nicknames include Kaibla (unsmart) and Haabla (dumb). However, this is not the nadir when it comes to Daak naams. A couple of my grandfather's cousins were named Teko (Bald) and Hego (Crappy) to protect them from the evil eye. I know of one Hippo, which was selected for a particularly bonny baby. On the other hand, this cousin of mine is nicknamed Zico. He was born in 1986. Another one's called Zizou. Much pride. This year many Messis, Robbens and Tevezes will be born in Kolkata. Some may be called DaVinci or OBiC as well. As you can see, Daak Naam's like Roulette. Since, I know all of you want to play it, please go to the Bong Nickname generator and get it. And to answer the question in your mind, My Daaknaam is Keltu. From the depths of the generator itself. A madarasi , Ive noticed some Daak Naams there like Sundar and Ramesh(?) , yeah thats the nick name some Mohan or Shiva would take. ...and talk of unflattering names there are names like Kuppannan(Garbage brother) and they are names , not nicknames. ...and what is your actual daak naam...assuming its not too personal to put out here. Bongopondit, Thanks for the link! Though, I think it's a vicious cycle we are in. Since we hate our nicknames, we give it to others. Can't only blame the women. Hmmm...is Dhoomketu your actual name? I thought it was your blogger identity. Wow! How come I discovered your blog so late?